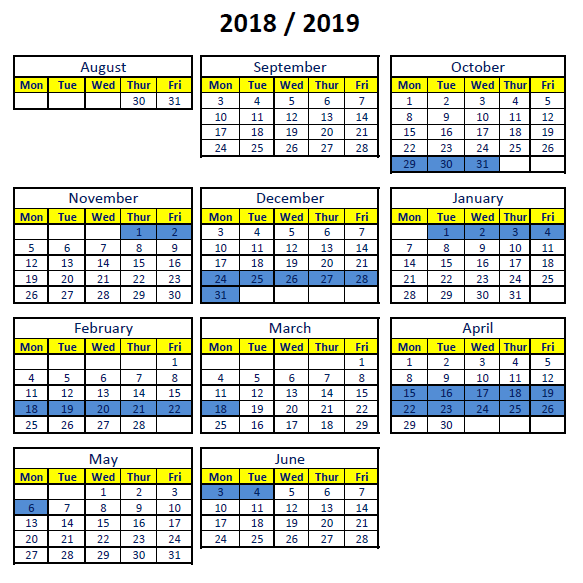 The February mid-term break school may be open subject to the requirement that all schools must be closed on the Thursday and Friday of the week in which this break falls. The Easter break may be reduced by up to three days by the school remaining open up to and including the Wednesday immediately preceding the Easter weekend. All schools must be closed on the Thursday and Friday immediately preceding the Easter weekend and remain closed for the remainder of the Easter break.